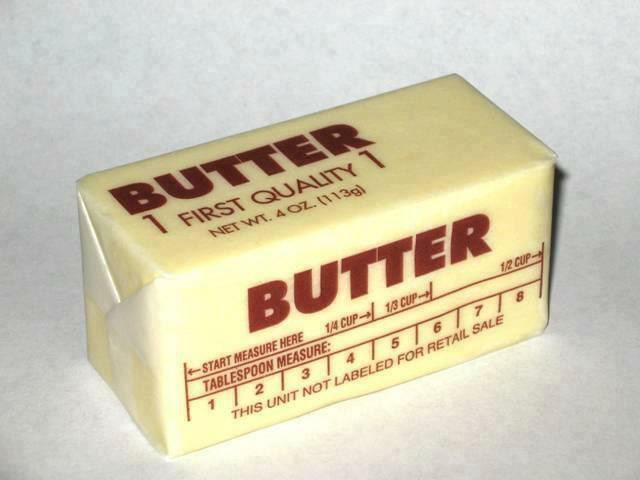 Margarine was originally manufactured to fatten turkeys? When it killed the turkeys, the people who had put all the money into the research wanted a payback so they put their heads together to figure out what to do with this product to get their money back. Margarine is but ONE MOLECULE away from being PLASTIC... and shares 27 ingredients with PAINT. Well please don’t do it yet; read what the statistics prove first then see whether you still think it will be a good idea to have a flu shot. Would you really want to inject your children, parents or spouse with this poisonous, carcinogenic cocktail? According to the statistics of the government agency the CDC, your child has 3.46% more chance of dying from the shot than from the flu itself. Did you know that while the United States makes up only five percent of the world's population, we consume over 50 percent of all the world's pharmaceutical drugs? BIG BIG MONEY! Five consecutive flu shots, and your chance of getting Alzheimer's disease is ten times higher than if you had one, two or no shots! Flu shots contain 25 micrograms of mercury. One micro-gram is considered toxic. How to avoid catching the flu; stay well adjusted! If your immune system is functioning at it’s optimal level, your chances succumbing to any virus are diminished! 1) avoid white sugar; all forms of refined sugar depress white blood cells' ability to destroy bacteria. 2) exercise regularly; increasing the blood flow improves your circulation thus the components of your immune system. 3) get adequate sleep; when you are tired daily tasks are harder to perform and your immune system finds it more difficult to fight off infection. 6) wash your hands. A common way people contract viral illnesses is by rubbing their nose or their eyes after their hands have been contaminated with a virus. The CDC states, "the most important thing you can do to keep from getting sick is to wash your hands." 7) take vitamin D; vitamin D is the nutrient that activates your immune system to fight off infectious disease. Our society is so used to taking medications for prevention and treatment, it is difficult to comprehend that these modest recommendations are really the most powerful ways to minimize the likelihood of getting the flu. Furthermore, in many instances the taking of drugs will actually inhibit the body’s natural ability to heal itself. I try to do most of the above throughout the year, these are good general rules for better health, should I meet anyone with cold and flu symptoms, I recommend that they come in to the office to see me to ensure their nervous system is functioning at it’s best. It was Dr. Hugh Fudenberg, MD, the world's leading immunogeneticist, lead and published the research that proved the link between Alzheimer's disease and the flu shot. Even with nearly half of the studies industry funded the results show that in most circumstances, influenza vaccines are virtually worthless at best, dangerous at worst. Furthermore the study concluded that vaccines had no effect on hospital admissions, working days lost or even the transmission of influenza. Another anomaly in the information put out by the CDC – Centers for Disease Control – is the number of deaths due to influenza each year. I’m sure you have heard the figure 36,000. They have used that number as an average since 2003. However the number is explained as being an estimate based on figures as little as 3,000 and up to 49,000 for flu associated deaths where flu-like symptoms were possibly a contributory factor. However, quoting the CDC’s own MMWR – Morbidity and Morality Weekly Report - of May 14, 2011 (the last Flu report of the season) "This season 105 laboratory-confirmed influenza-associated pediatric deaths have been reported to CDC." And further when adults are also included: "From October 3, 2010 – May 21, 2011, 16,410 laboratory-confirmed influenza-associated hospitalizations and 311 laboratory-confirmed influenza-associated deaths were reported to CDC." 75% of these cases were individuals who had very serious illnesses already with seriously compromised immune systems. 735,105 is the approximate number of serious adverse reactions to the flu vaccine during the year 2011. A serious adverse reaction is where either convulsion occurs, loss of consciousness, secession of breathing or death. It seems that for way too many people the less traveled path is the one of health and wellness. Do you know that in the book ‘Fast Food Nation’ the author Eric Schlosser explains that Americans spend a STAGGERING $110 Billion each year on fast food? More than we spend on higher education, personal computers, computer software or even new cars! In fact it is more than the combined amount spent on books, magazines, videos, movies and music! I’m horrified and astounded that the amount is so significant when compared to the other statistics. It's NOT all our own fault! This is America! The land of the Free! We can spend our money where and when we choose. We can open a fast food franchise and make our fortune at it. I wish wholeheartedly that we used our freedom of choice to enhance our lives by making better choices for ourselves. HOWEVER, I also wish that so many of the health decisions were not made for us in the laboratories of GMO - Genetically Modified Organism -companies and in the lobbyists' offices on Capitol Hill! I see the Chiropractic profession in general as being about complete wellness. Especially important as we race towards the start of a new year! December is arguably the most stressful month for most. As we strive and fight to prepare and give each other the 'Very Best Christmas', some days it feels if making it to the end of the day without a catastrophe is a blessing. We have so many baubles (balls!) in the air our minds seem about ready to explode and cease to function as in the case of my office manager's front desk computer! Drink more! - water that is. Do you know, even if you come in to the house freezing cold the quickest way to warm up is to have a glass of room temperature water. I always drink filtered/bottled, don't need any more chemicals in my system, thank you! You know that chiropractors do not prescribe drugs; we do not advocate surgery or any invasive procedure unless it is an emergency or other avenues have been exhausted. Chiropractors, by removing blockages in the nervous system, enable the body to heal it ‘self. Quite the radical idea when you think that most other forms of what we view as ‘conventional’ medicine require the body to be the host for what a GP prescribes to remove the symptom – not treat the problem! Kiss under the Mistletoe! Oh go on! .... Be nice to someone, or two people, or everyone. Commit gratuitous acts of kindness. Look the metro rider opposite you in the eye and say Happy Holidays as you leave the carriage. Provided you are not socked in the kisser you're going to make someone else happy. There just isn't enough of that in the world. Let down your hair! I mean it, enjoy yourself, laugh with your kids, spouse, boss, sister, brother and co workers. Spread some good energy everywhere you go. Party till your carrot falls off! Imagine the release of all those endorphins and the way you will feel when they do. That doesn't mean drunken debauchery, obviously - take a cab if you do! A Resolution To Be Healthy!! You know I’ll tell you to have regular adjustments from your chiropractor so your nervous system allows each cell of your body to function as best it can! Eating; This is the big one these days. Much of the diet that the modern world consumes is not that on which the human form evolved. Look in the family photograph albums of fifty years ago or the black and white movies on the late night TV at the weekend and what do we see? Everyone was so much thinner then! The typical weight for a woman was 115 to 125lbs and for a man 150 to 165lbs. Not that you saw anyone exercise back then like you do now. Champions of the parkway in their running shoes or on their bikes were non existent. Who’s grandmother used to run or go to the gym but still wore the wasp waisted dresses of the 1950’s? High fructose corn syrup and the all invasive ‘modern grain’ wheat are huge factors in my opinion. Breakfast, lunch and dinner - even most of our snacks - are produced from the ‘amber waves of grain’. However, that grain and those husks of corn are not the same as those that your grandmother ate. Our foodstuffs have been changed at the very molecular level (Genetically Modified) and because of the speed at which scientific engineers have developed new strains of the grains we have spent centuries eating, I believe we are unable to properly digest the foods in our every day diets. What do we do about it? I think the best solutions are not going to be the easiest and certainly not the cheapest. We have to do our best. Eat local, organic produce wherever possible. Concentrate on eating smaller portions particularly during this season when there are so many tempting morsels and goodies placed in front of us wherever we go. Have a wonderful and Merry Christmas and Holiday Season. May each of us be blessed by the magic of health, spirit and love in abundance.